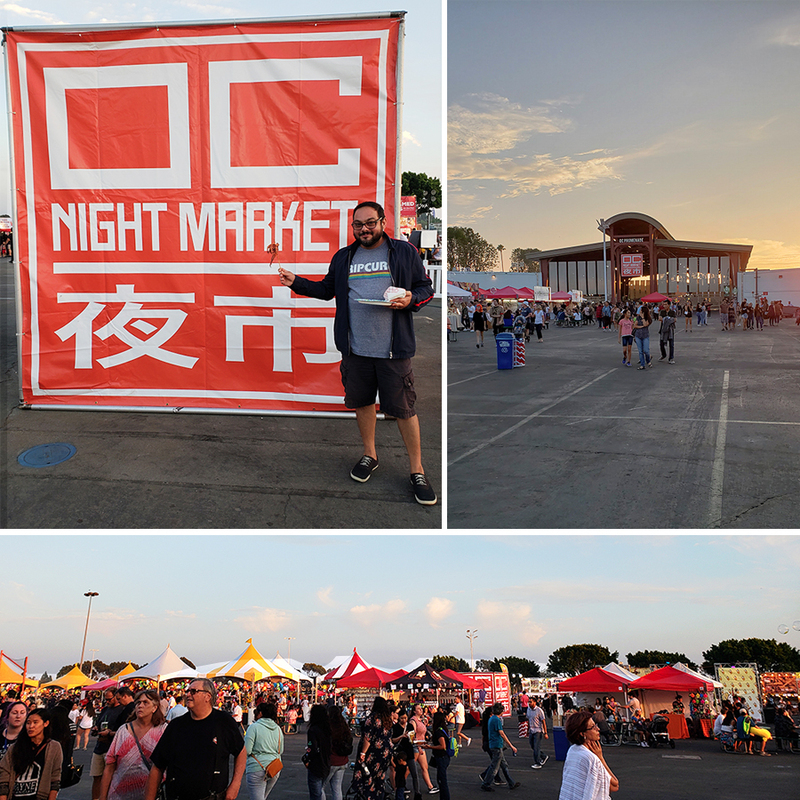 Payam and I hit up the OC Night Market last Friday. It only comes to town twice a year so I’m surprised I was actually on it this time. It was pretty fun. I wish we had brought the girls. 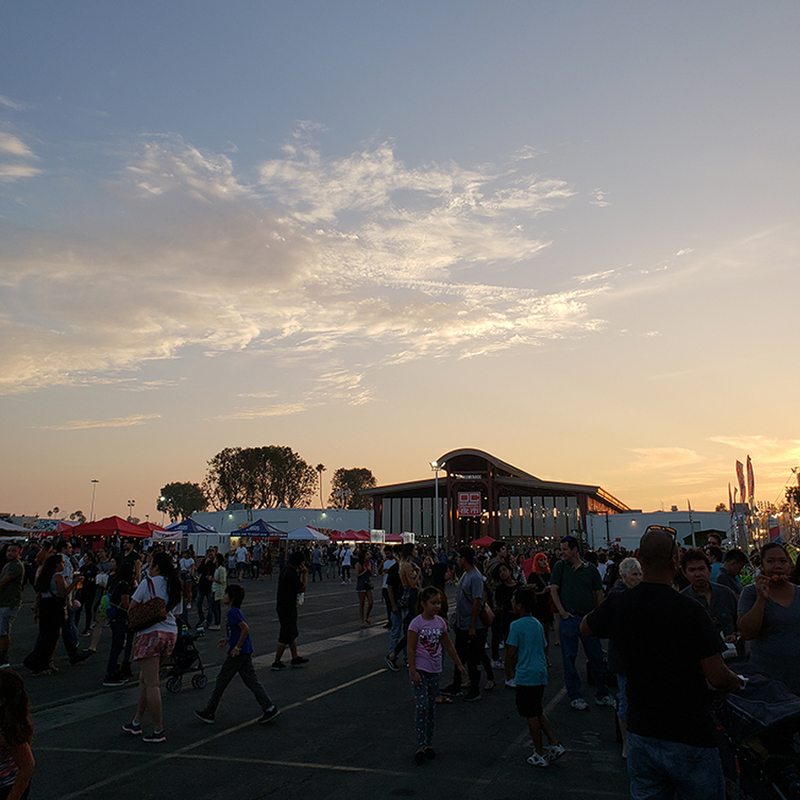 I’m not a super foodie or anything (which is kind of what the Night Market is about) but I do love to do anything outside during Golden Hour. It’s just so pretty! 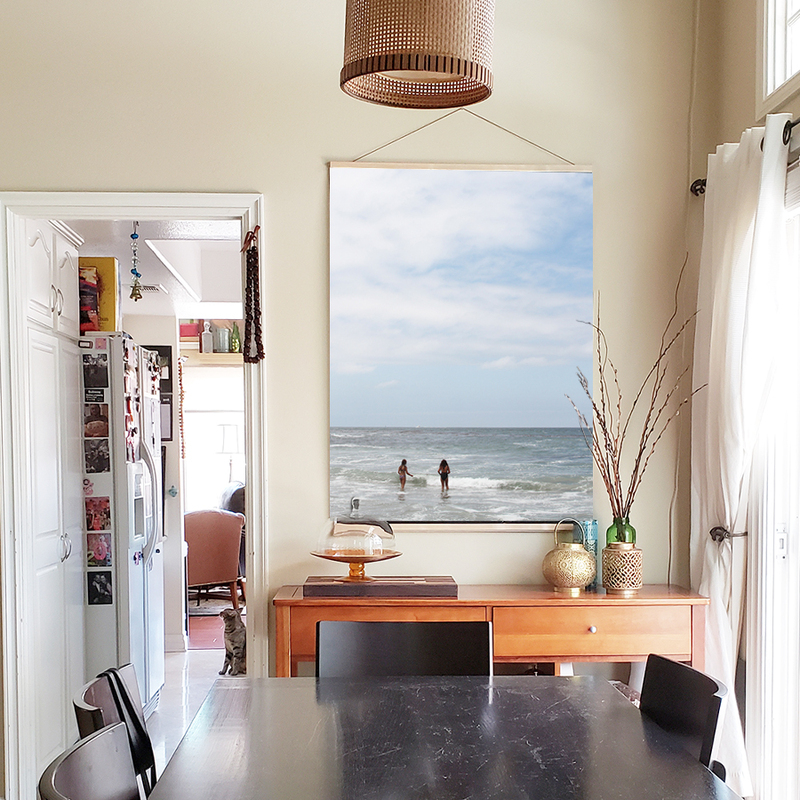 I feel like I used to when I lived at the beach and people would stay in their houses and completely ignore the ocean being magnificent right outside their door. So I make up for all the people ignoring the beauty and find myself completely entertained by the clouds and the show they were putting on. It was especially pretty that night. My camera doesn’t really do them justice. The food was pretty photogenic too. I wanted to get boba in a lightbulb and a cotton candy burrito but I’m on this stupid health kick where I worry about getting enough fiber and I try not to over-do it on sugar. Being healthy can be so boring sometimes. 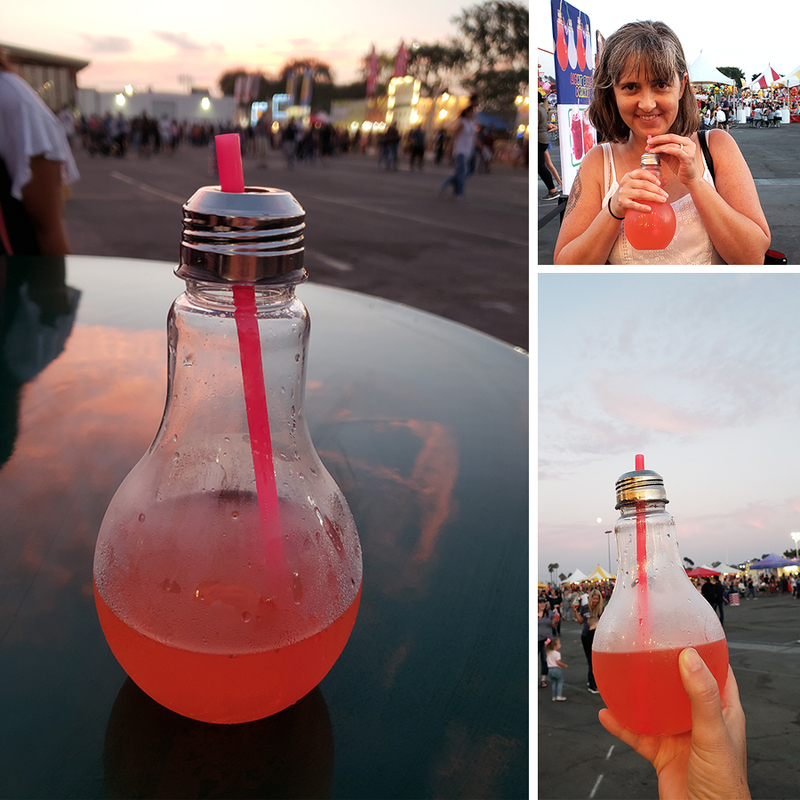 I did break down for the photo’s sake and get a strawberry lemonade in a lightbulb. It was delicious of course. And pretty with the sky behind it. Payam thinks I’m such a nut taking pictures of everything all the time. I really was like this before social media existed. You remember, right? Remember when blogging was just writing and people like me annoyed everyone because we slowed up a page’s loading time by putting pictures on our websites. I’ve been annoying since the dinosaur days. So yeah! 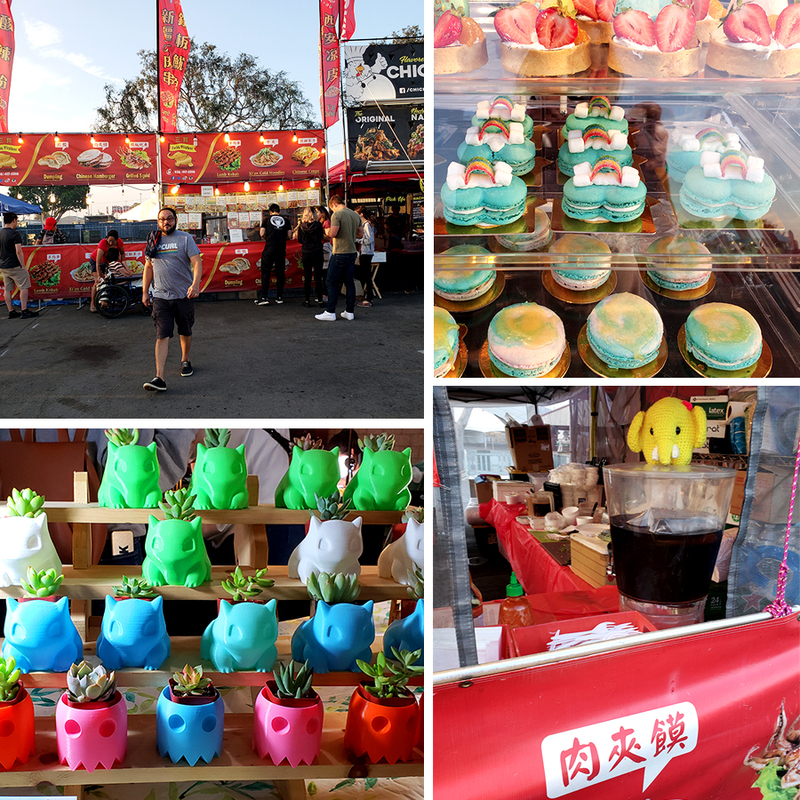 Crazy Night Market food! Ramen noodle hamburger buns? They have them! 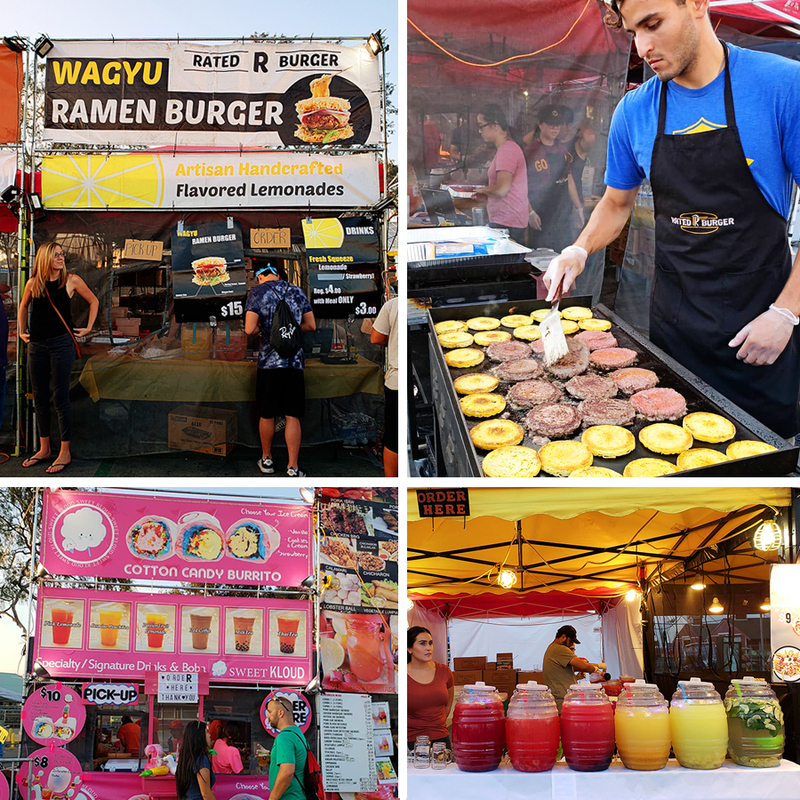 Cotton Candy burritos, boba in every color, rainbow grilled cheese..
And Squid on a Stick! 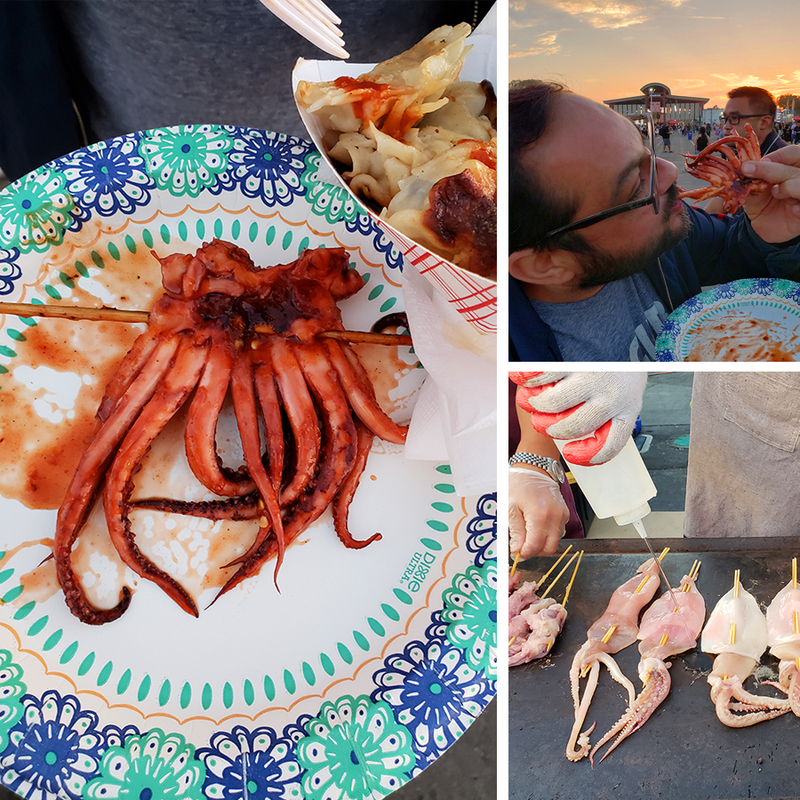 I was thoroughly grossed out but Payam said it was tasty! The gyoza I had was soggy and gross too. Probably because they were paying so much attention to the squids on a stick customers they neglected all the other boring items on their menu. I think they saved time by pre-cooking the gyoza and just stashed it in the back for the odd random person who ordered something as boring as gyoza. Personally, I love gyoza so I was super disappointed. Guess I’ll stick to takeout from now on. We really missed the kids. The thing about 50/50 custody is that you have a week off to do fun couple things without kids (really great, right?) but invariably the fun things you do without kids you end up thinking would be way more fun with kids. Then the weeks you do have kids you are so busy doing parenting stuff you completely forget about all the fun things you wanted to do with them and go down in the books as boring. You can’t win. 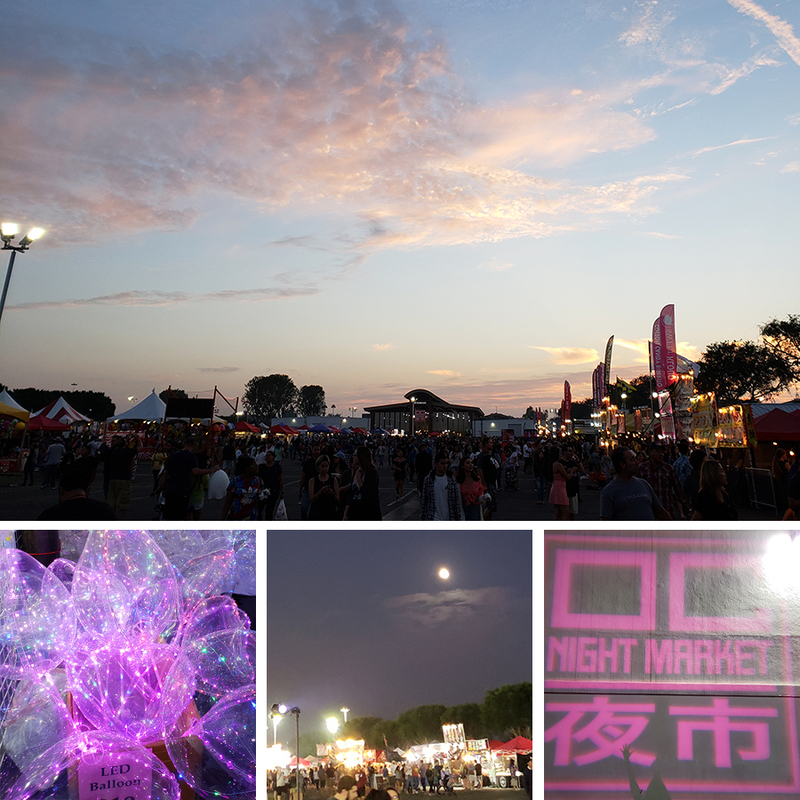 I am really going to make an effort to remember the Night Market though because I know Bug and Joon would both really dig it. Not so much for the food but definitely for the glow-in-the-dark, light-up, blinky night-time fun. The BIG engineer print came from Parabo Press (thank you Deborah for the tip!) 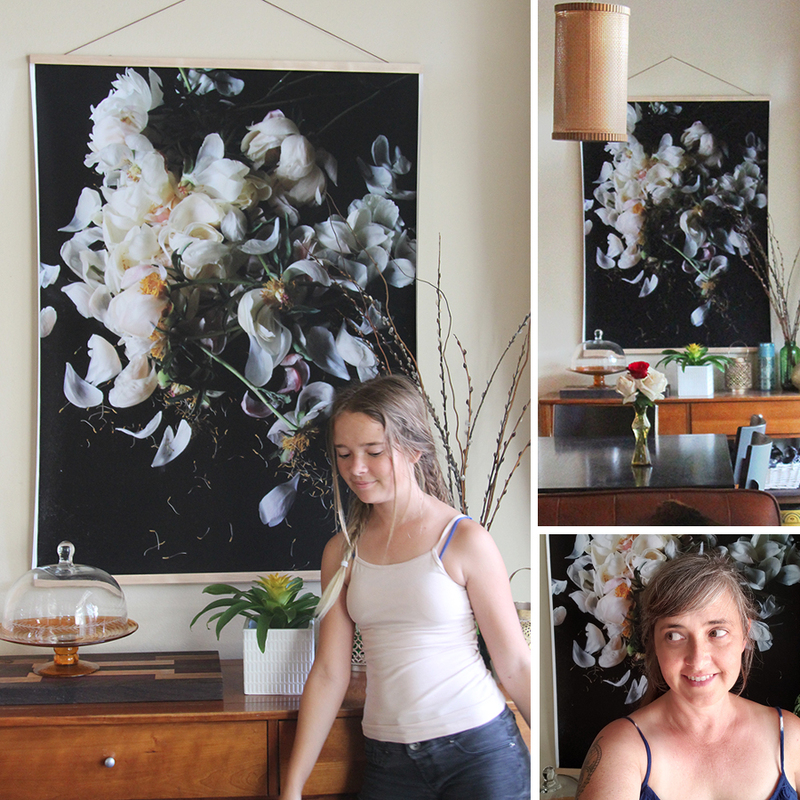 and I finally figured out how to hang it! It actually came several weeks ago but I was not so smart and didn’t order the 36″ wooden rails that they offered to go with it. I thought I’d be cheap and order some off amazon instead and then I did and I ordered the wrong size TWICE. I’m not the brightest fork in the drawer sometimes. Creativity I have in loads but double-checking-measurement skills not so much. I was so steamed at myself. And then when I finally caved and decided to order the right rails from Parabo they were out of stock. Doh! But that’s okay because I happen to have a boyfriend who is handy with wood! The real question is: why didn’t I ask him first?!! I studied the design and figured out it was just four 36″-long pieces of wood held together with those super strong tiny refrigerator magnets. I gave Payam the measurements, ordered some magnets and he came back with perfect rails ready for hanging! 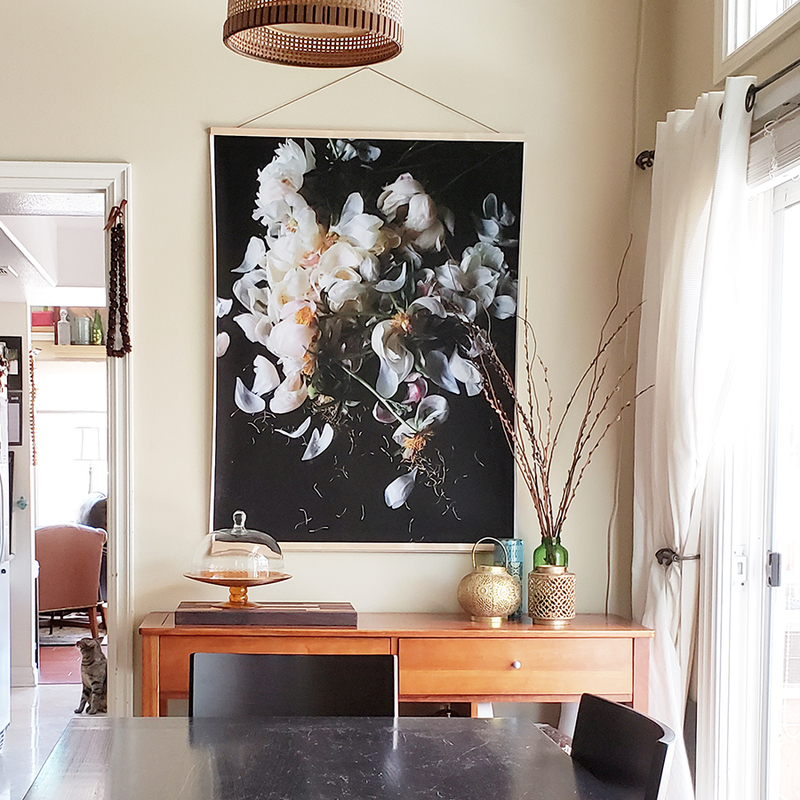 And three weeks later I finally hung my amazing dramatic peony print. I love it. 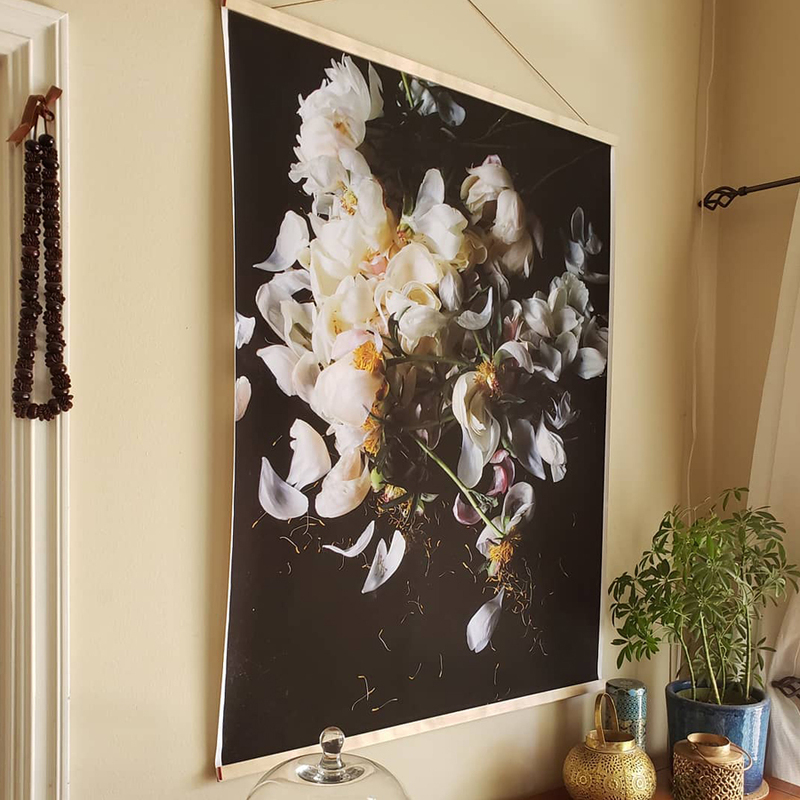 I love it so much better than that mass-produced Bed Bath and Beyond print that Payam had hung up in the dining room for so long. I loved the sentiment of Payam’s old art though that’s why I left it there so long. But it offended me badly with it’s 90’s choice of fonts. You know how that can drive a graphic designer crazy. It said “Teach music to the child and you give the soul a voice after you go.” which is really cool, right? I thought I would recreate it and keep the words somehow but nothing brilliant ever hit me. Then I fell in love with the giant peony print idea and now the 90’s music quote art lives in the office/kid’s tv room until I can somehow find a new way to keep that sentiment. I’m still perking on that. 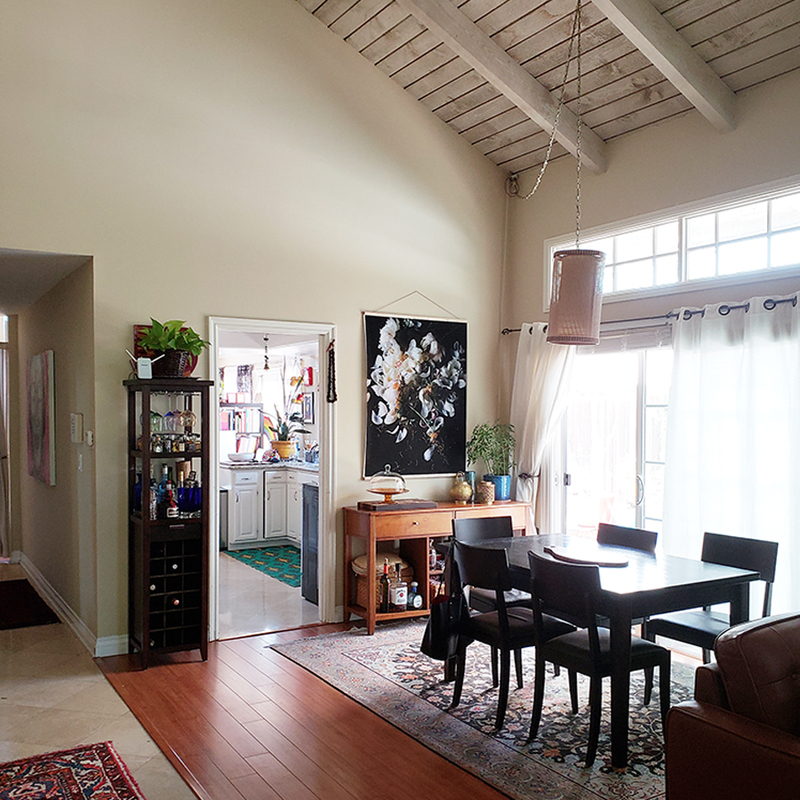 Isn’t it cool that Payam loves me so much that he puts up with my redecorating? He puts up with a lot. Funny story: I have these really really eccentric palazzo pants in a crazy black and white boho print. I LOVE them. They are super flow-y and comfortable (except for the too tight waist band which is what I get for shopping at Forever 21 when I probably should be shopping at Ann Taylor Loft). From time to time I wear them and they are the kind of pants that stop you in your tracks. You can’t not acknowledge them when I walk in because they are screaming I’M CRAZY PANTS. So you can imagine Payam’s reaction the first time I wore them. And you know what he said? “I love you and so I love your crazy pants.” He actually hates my crazy pants but he’ll never say that. He’s my guy. But back to the print. When it arrived the mailman brought it to me in big long tube that was mangled on one side. Of course that worried me so the mailman asked me to open it in front of him to make sure that it wasn’t damaged. Unfortunately it was a really hot day and I stupidly chose to open the tube and unroll the print on the hood of Payam’s black car that was really hot. The damaged tube didn’t hurt the print but me unrolling it on a hot surface did. Right away the print crinkled right down the middle. I realized my mistake and rolled it back up as soon as I could but the damage was done. The paper is so thin it is very easy to damage it. Thankfully, the center crinkle in it doesn’t really show BUT it does curl on the sides which kind of bugs me. I’m not sure why it curls other than the fact that the paper is very thin and it works like a barometer measuring the humidity in our house or something. 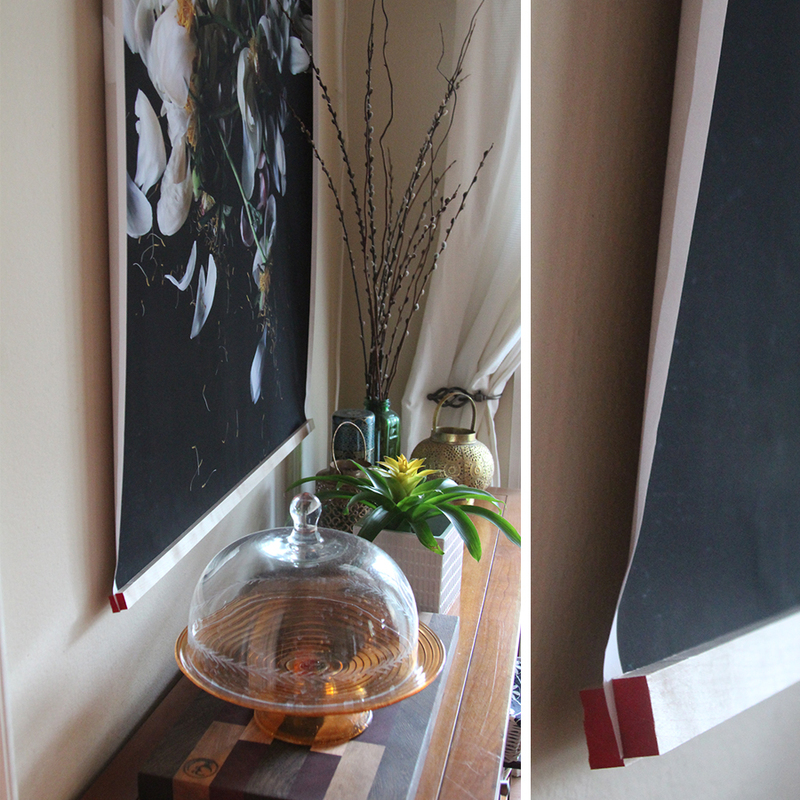 So while the rail hanging idea is very affordable ($20 vs $400 to frame it) it’s not perfect. I’m still not sure what we’re going to do. But it is a good temporary fix.